The loss of a child to drugs and alcohol is beyond imagination. Being a mother myself, I cannot conceive the pain of burying my child in her early 20’s due to a drug overdose. 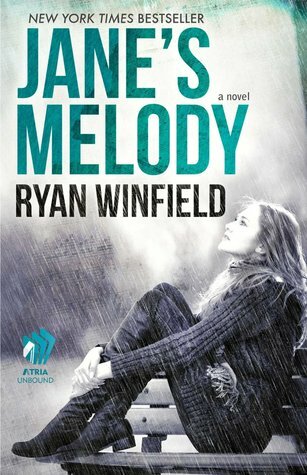 This book deals with the impact a situation like this has on our main character Jane. Living and breathing, as normal as that is to anyone, can seem impossible once you have lost your child. Thoughts of suicide are normal when you are going through this type of loss. The hardest thing to do is pull yourself by your “boot straps” and find a reason to continue living. Our author weaves this story masterfully. He places Jane in a position where, as she is trying to reconstruct the last days of her daughter’s life, she physically runs into someone who can both give her a glimpse of her daughter as well as give her a new beginning. It is not common to read a book where the love interest is 15 years younger than the heroine. In this case, Caleb is an old soul in a young body. Having lived through some horrific situations and living on the streets since age 16, he has been exposed to situations a person his age would not normally know about. The meaning behind this book is perhaps multifaceted. I think it makes us think about loss from a different angle. It makes us realize once again that tomorrow is promised to no one and you must make the most of what you are offered right now. Friendships are to be cherished. You can only do your best to morally support those you love, the rest has to come from them and they have to work at improving their lives. Finally, and most of all, love knows no boundaries of age. If you are lucky enough to find your “other half”, kindred spirit, whatever you want to call the love of your life, you must grab love with both hands and have the courage to cherish that love regardless of what others might think. The ultimate loss is to not have had the courage to live life with your whole heart. This book is an “experience”. Be prepared…I kept my box of tissues close and my heart open.